The newest rage in aquatic fitness. 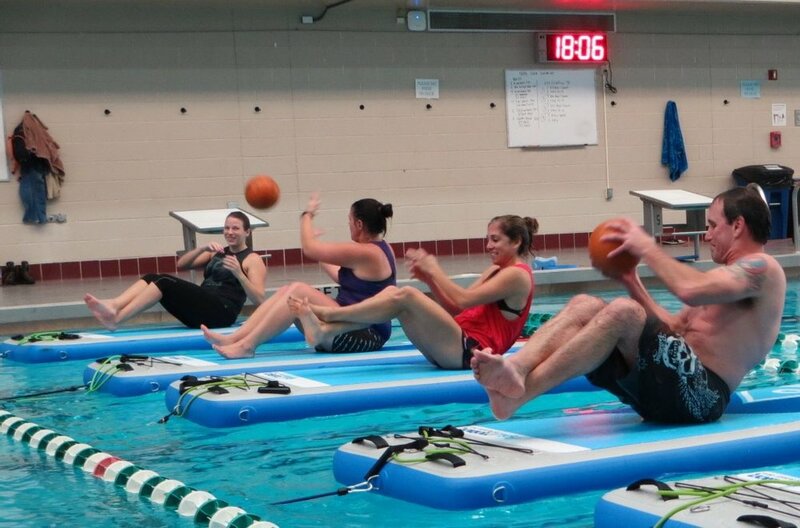 This Memorial Day Weekend, we're taking the fitness mat out of the pool and floating it on Nabbs Creek. The Flow Motion fitness mat is a floating training platform that provides a whole NEW, dynamic and FUN way to exercise. 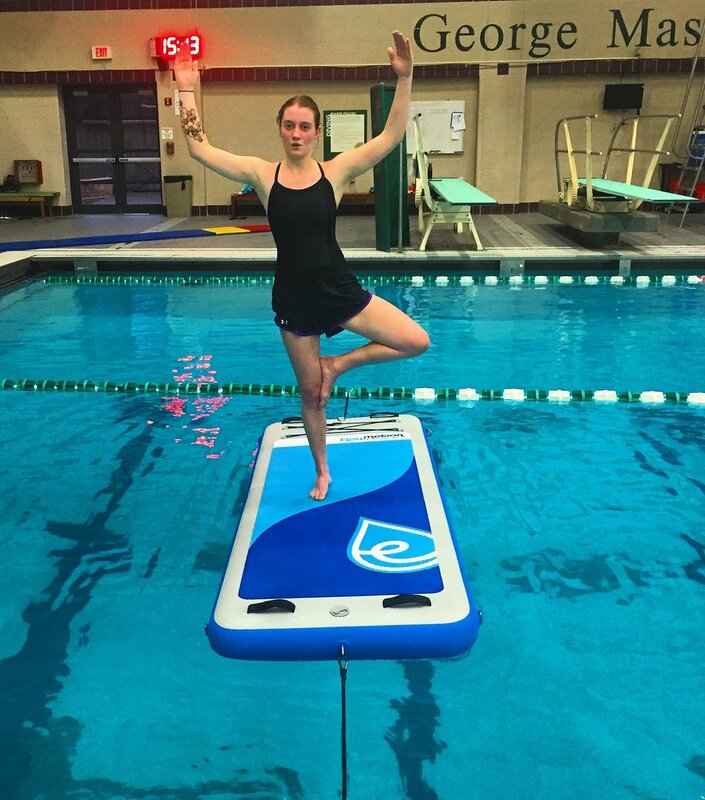 This is not your average floating mat! 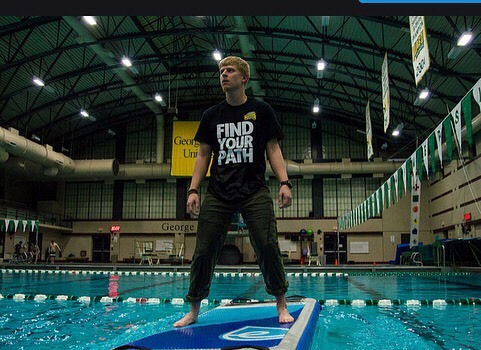 The main feature of the fitness mat is stability and durability on water. Flow Motion can hold in excess of 275 lbs without sacrificing integrity and can take basic exercises (e.g. jumping jacks, mountain climbers, burpees and push ups) and make them more challenging and FUN! You'll strengthen your core like never before with high intensity, low impact workouts on the mat. 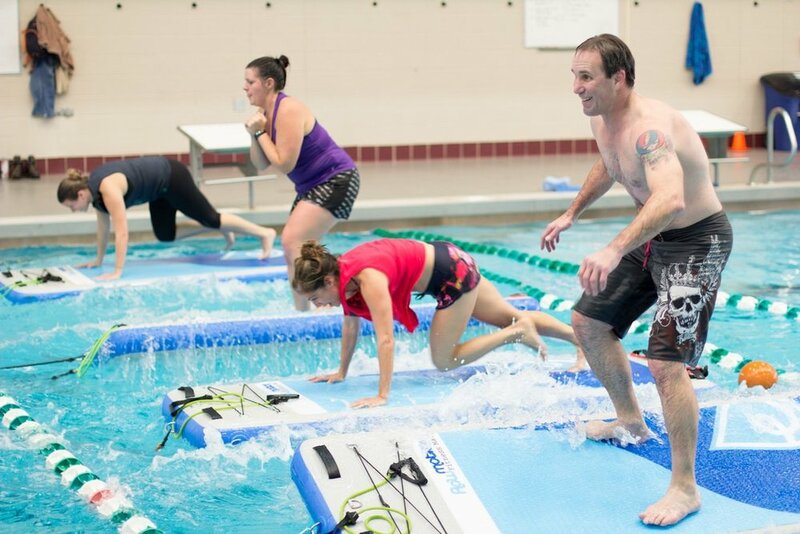 The class will use a mix of paddleboards and fitness mats for a challenging and addictive experience! - Anyone! Everyone! ALL levels of fitness are encouraged to participate. Just let your instructor/coach know if you have any physical limitations and/or injuries. There are modifications to each exercise. YOU bring the energy and we'll take care of the rest! - Learn to embrace the "wobble" throughout the warm up plus the first few minutes standing on top of the fitness mat. It varies from one individual to another, and mostly depends on your comfort level. - Get STOKED watching your confidence and footwork soar by the end of class! - We'll use different types of equipment while standing and kneeling on top of the fitness mats including floating medicine balls, jump ropes, resistance bands and your bodyweight. - The class is 1.25 hours which includes a warm up/cool down on land or on the water. - Bring a water bottle, a towel, change of clothes and POSITIVE vibes! Be prepared to get wet!